Do you want mini or maxi beans? The choice is all yours with the promotional Jelly Beans 50 Gram Bag. 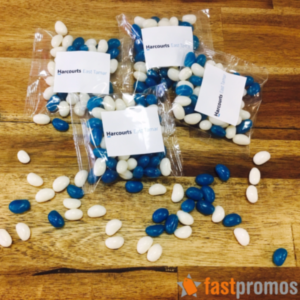 Make a great impression for your next promotion with the branded Jelly Beans 50 gram Bag. 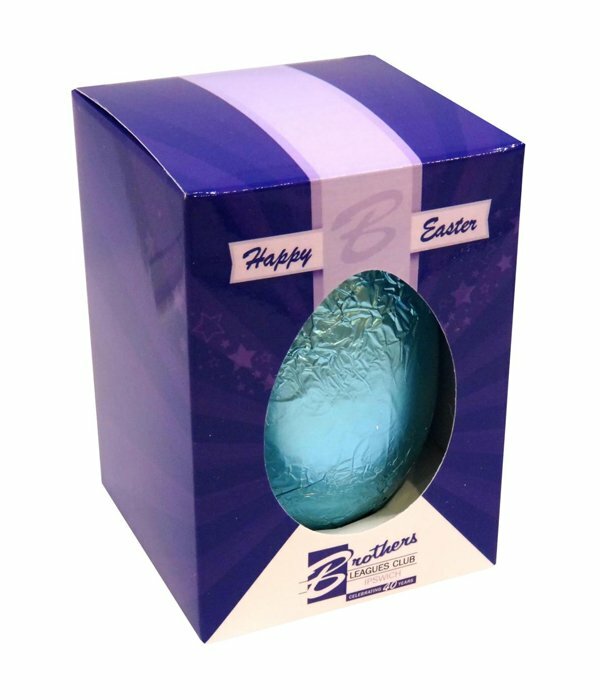 This promotional confectionery is the ultimate advertising medium for getting your brand across a tight and saturated market. 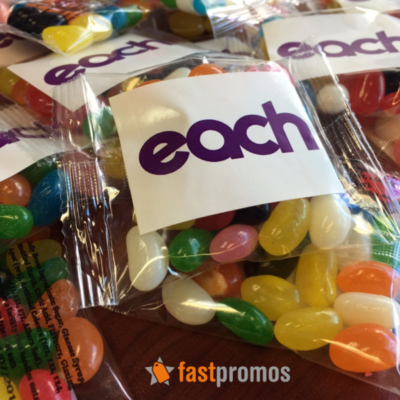 Personalise them with your custom design and the custom Jelly Beans 50 gram bag becomes your marketing champion. 50 grams of saccharine goodness will surely delight anyone who likes to have instant access to sweets while on the go. That’s enough reason to keep you company edible treat inside your car when stuck in traffic and still have some left to munch when you get to that meeting. 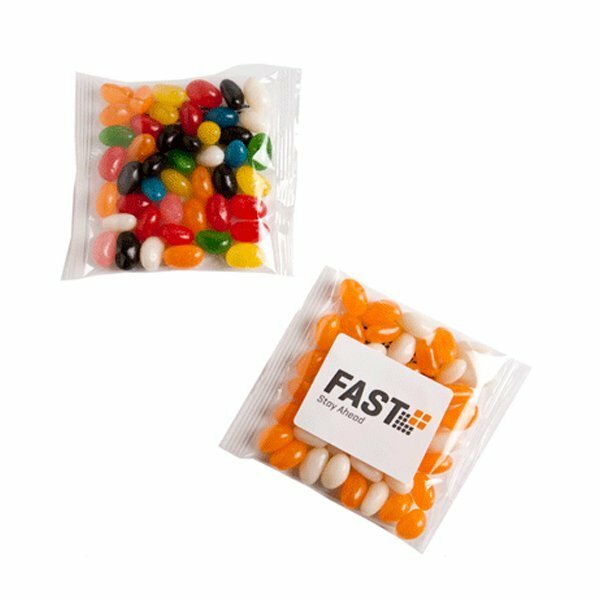 The custom jelly beans 50 gram bag can also be enjoyed when watching movies or sporting events. Just pop a bag open, share with friends, and everybody gets to have a great time. Chew on them real quick, or slowly suckle on the sweetness. There’s more than one way to enjoy these fantastic treats. Make it part of your marketing arsenal by further personalising it with your custom design. When you give them away to your suppliers or clients, they’ll really appreciate receiving something so delicious with your own personal touch. 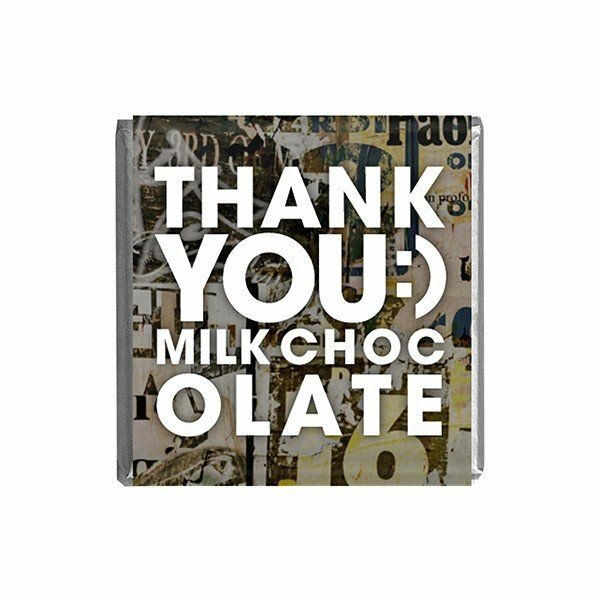 You can also gift them to your staff for the upcoming holidays and have their names printed as special recognition. The jelly beans can also be packed in pillows as in the custom Jelly Beans 50 gram Pillow Pack. Or you could also go for something a little more offbeat with the branded Jelly Beans in Large Apothecary Jar. We keep all our products within reasonable prices so you always get the best value for your money. 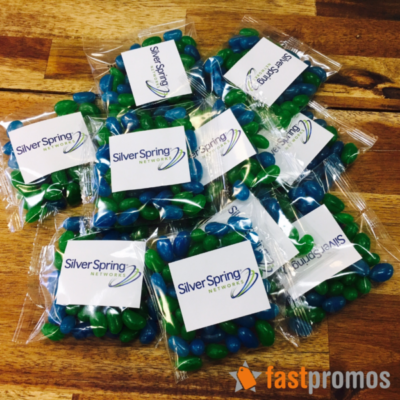 Our custom Jelly Beans 50 Gram Bag is an excellent giveaway for your marketing events. These confectioneries are a hit for all ages! For more advertising ideas, visit our Flat Top Jeep Cap and our line-up of ready to personalize hats and headwear. Do give us a call if you need assistance with our products. We have our customer service representatives ready to attend to you. Simply hop on that chat box on your screen, or dial our hotline number 1300 008 300.